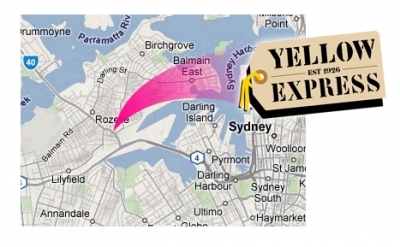 Yellow Express taxi trucks, removals & courier services Sydney. Family owned business and still one of the oldest courier companies in Sydney, established in 1926. Providing express local, interstate and international courier services. Interstate service includes Lithgow and Bathurst in regional N.S.W. Easily recognized by bright yellow vehicles or signage. 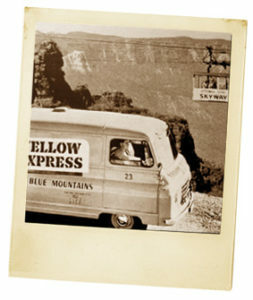 When i was a courier driver back in the 90’s i used to pass by Yellow Express on the way to the city. They are located on Victoria road just before the bend to the Anzac Bridge. Courier drivers interested in joining one of Sydney’s most reliable companies you should visit the Careers at Yellow Express page. Business customers open an account or try Yellow Express by ordering a ‘one off’ over the phone and paying by credit card. Public customers welcome.